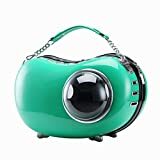 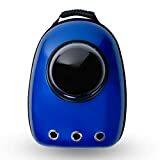 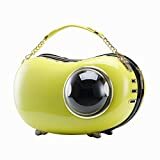 The cool new U-Pet Bubble Backpack Pet Carrier lets you carry your small furry best friend along with you wherever you may roam and gives them a fantastic view of the world outside through a built-in semi-spherical bubble window. 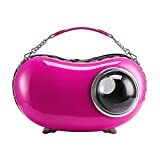 This sleek wearable pet bed is perfect for small cats or dogs (10 lbs or less) and has plenty of ventilation holes and mesh panels, a built-In security leash, a soft removable pad, a viewing bubble that can be switched to mesh or even removed, and is approved for use on most major airlines. 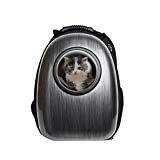 It's probably the only way you'll ever get to take a real hike with your cat, but getting it into this carrier is going to be a whole other adventure.